Check ice conditions with local ice hut operators or other anglers. At least 10 centimetres (four inches) of clear blue ice is required to walk on, 20 centimetres (eight inches) for snowmobiles and 30 centimetres (12 inches) or more is needed for most light vehicles. This thickness should be doubled if the ice is white or opaque. Let others know where you're planning to fish and when you plan to return. In 2014, anglers bought approximately 1.1 million fishing licences in Ontario, generating about $36.6 million in revenue. This year, Canadian residents can fish without a licence in Ontario from Feb. 13-15 and from July 2-10. Anglers are reminded to follow rules, including conservation licence limits, in the 2016 Fishing Regulations Summary. All revenue from the sale of hunting and fishing licences in Ontario is used for wildlife and fisheries management. This document was published on February 10, 2016 and is provided for archival and research purposes. 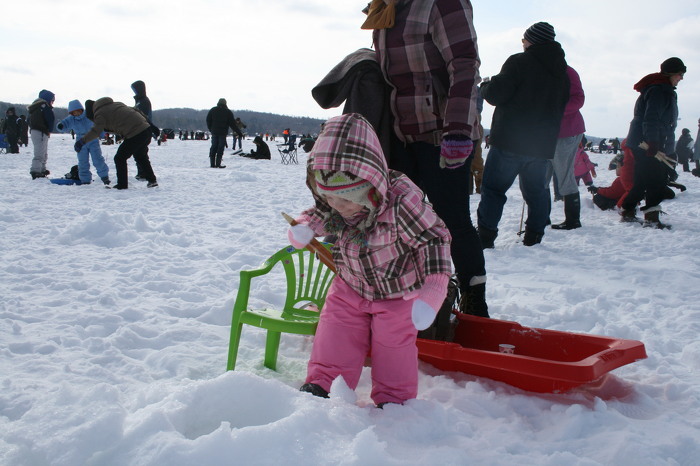 Canadians can fish for free this Family Day Weekend. 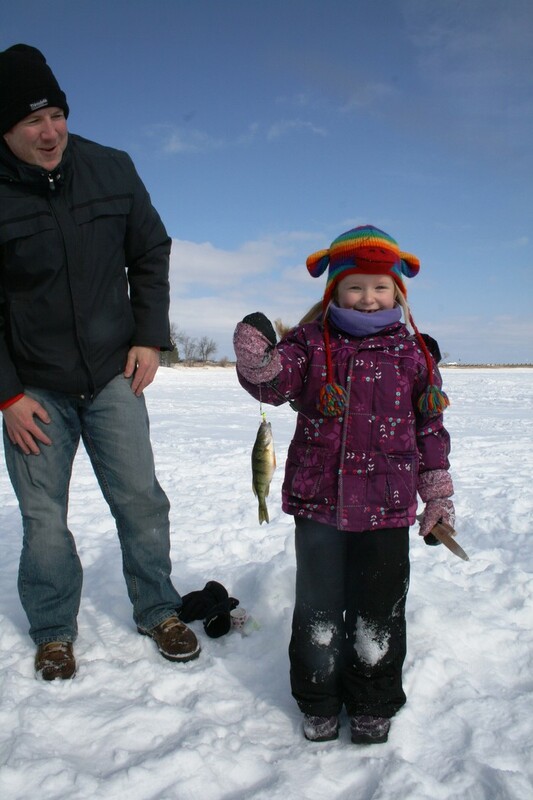 Ice fishing is a great family activity.